We look to the New Year as “the time” to decide who we will be and what we will achieve in the next year. And although that is a natural time to create ourselves anew, if we so wish, there also are other times during the year when, energetically, it is optimal for us to take these steps. According to astrologers this month of April is one of those unique times, due to the activation and transit of these very powerful planets: Jupiter, Uranus, Pluto and Mars. We are informed that it may be a wild ride, and that we will be tested. But, in the same, it is an excellent time to clean our slate and claim our power and purpose. Whether or not you believe in astrology — or anything else for that matter — symbolism and/or rituals are things we can look to, to provide us with motivation to accomplish amazing things and tap into the many miracles in our lives (as well as experience new ones!). Seeking out these energetic moments is one of my personal strategies for success. Our lives get full quick, and in no time we’re in Quarter 2! In the New Year I always go through the process of intending what I hope to experience, but just as we revisit our business plans, we also should do the same with our New Year goals. What did you set out to feel, start or accomplish? Are you on track? What’s changed? Where have you succeeded thus far? What’s next? Energetically, April is the right time to investigate and continue the process of intention and tapping into our personal power. Want to join me for this “Alchemic April” exercise? Let’s go! To make this super easy and achievable, I’ve taken the dates of the major planetary transitions for this month as detailed by Astrologist Maya White, and based on the potential “Power Outcome” of their transit, I’ve suggested a question for you to ponder upon, or a small action for you to take. Print this out and follow along daily during the month April. Most importantly … have fun with this! (Today) April 3 – What do you want? Write it down now. April 4 – What one small thing in your life needs to change? Take one small step today toward that change. April 5 – Show compassion today. How will you show it and why is this action important to you? April 8 – Is there an obstacle in your way? How can you begin to overcome it now? April 11 – Connect with someone you love. What does your heart and soul want you to do? Do it. April 14– What’s holding you back? How can you express your truth to get you closer to your destiny? April 15 – Work on the relationship with yourself. What do you need to do for you? Do it. April 16 – Caring what others think of what you need to say or do? Do it anyway – now! April 17– Practice abundance! Make a list of the five major things you are grateful for. Pay it forward today. April 20 – Get in the game. Where do you need to claim your stake? Take that action now. April 21 – What’s the right thing to do? Do it. April 22 – Connect with your authenticity. Share your truth in some way today & know that others will resonate with it! April 28 – Write down your new, updated vision for yourself. See it and feel it. Through this action know that the energy of the world supports your vision! Believe in it and walk toward it. I hope that you take advantage of these energies to help manifest your core self and core vision for your life. Placing energy into our goals and desires helps us to focus on them and push them forward. And in the end, let’s remember that leading others is only as effective as leading ourselves. Please share your experiences with me below by commenting. I guess I love Astrology so much because I really believe in energy. In the push and pull of things. In the shifting of time, space and seasons. It’s all energy. We are energy. And guess what? Our thoughts, dreams and desires are energy too. Where do they come from? Some would say they come from Source, and perhaps we all define Source differently. I’m cool with that. For me, no matter what you call it or how you define it, Source is energy which connects to us humans via our Soul. You’ve got one of those, yes? SIDE NOTE: This is my mind on a cup of hot mint tea. Can you imagine my mind on a glass of wine? (Laughing to myself!!) Watch out! LOL. So what is your SOUL telling you? What’s the ESSENCE of your Soul, and how are you maximizing that ESSENCE that is uniquely YOU to create the life you desire? As a coach I know that this is something people really want to understand, define, and ultimately, live by. Well, during certain energetic cycles, this ESSENCE becomes a little easier to tap. One of those times begins tomorrow. I subscribe to Maya White’s newsletter monthly to see what the planets are doing and what that may mean for us energetically and tangibly. According to Maya, on June 5th something very rare happens…Venus begins its transit across the Sun. During her transit, her energy is said to be one of connection to our soul essence…our purpose…our Dharma. So, why not take advantage of this energy to get EN POINTE if we haven’t taken the time to so? Who am I when no one is looking? What do my closest friends love and appreciate about me? If I can define myself in one word, what would that be? What makes me smile and laugh? Who am I today and who do I wish I could be tomorrow? After answering these questions can you begin to capture your ESSENCE? If your energy has shifted up and you catch yourself smiling and dreaming, you are on the right track! Venus is the only planet named after a female, the ancient Roman goddess of love & beauty. Other attributes of Venus include, vanity, the arts, physical love, attraction, affection and validation! 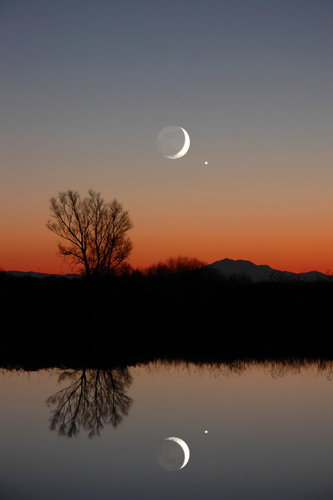 Venus was once thought to be two different stars, the evening star and the morning star–that is, the ones that first appeared at sunset and sunrise. Venus is known at the “light bringer” and is the brightest of all the planets and stars. May you enjoy and benefit from the light, love, and inspiration of Venus and her magnetic energy!